It’s mid-February in Texas which means spring is just around the corner. We’ve enjoyed some 75 degree days already this week. There’s nothing better than a February day spent on the patio. Of course, Mother Nature is fickle and we’re bound to get some cold temps again but this week has been a nice break in the winter doldrums. If you’re following my Daily Style Diary posts on Instagram, you’ve probably already noticed that I’m transitioning out of my winter wardrobe into more spring-y looks. I’m so ready for my boots to go into hibernation for the season! Before we say hello to spring style and goodbye to winter, I thought it would be fun to take a look back at my favorite winter outfits and ways to transition pieces of them into spring. Yes, I’m aware that there will probably be plenty of winter wear opportunities ahead, but it’s nice to dream of warmer weather and start planning our wardrobes accordingly too! Stripes are great year-round. Pair them up with florals, polka dots, pastel jeans and every other spring trend you can think of. Yes, denim shirts are still on the scene for spring. They look cute paired up with a floral scarf and some fun pastel colored jeans. 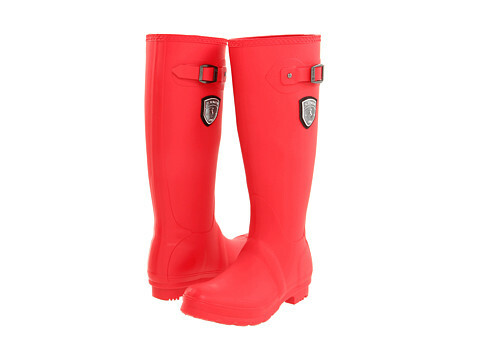 Rain boots are a no-brainer for spring showers. These come in seven different colors including this punchy red. You better bet I’ll be wearing my SPANX leggings in the spring. They’ll be perfect with long tunic blouses and cute flats. 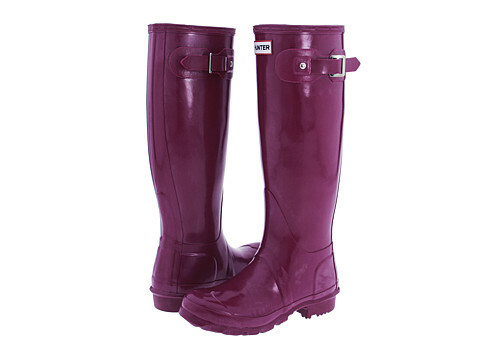 Spring is the wettest season after all, so more than one pair of rain boots makes perfect sense. I love this violet pair. It’s Your Turn: What winter trends will you be carrying over into spring? Tell me in the comments. If you’re a blogger who does your own photography, then you have to check out this girl. Megan Mueller specializes in photography for lifestyle and fashion bloggers. I recently won a free shoot with her and can’t wait to feature it on the blog later this spring. She’s a super sweet girl who offers free photography tips about lighting, composition, best times of day to shoot and more. Her post “Are You Making These 6 Lighting Mistakes” was extremely helpful (I was making a few of them!). Stop by to sign up for her free blog photography tips HERE.